Texas’ Circuit of the Americas is painfully hot this time of year. Merely going outside for a while is enough to make you dehydrated. If you want to see how your race car performs in extreme conditions, this oppressive heat is perfect. 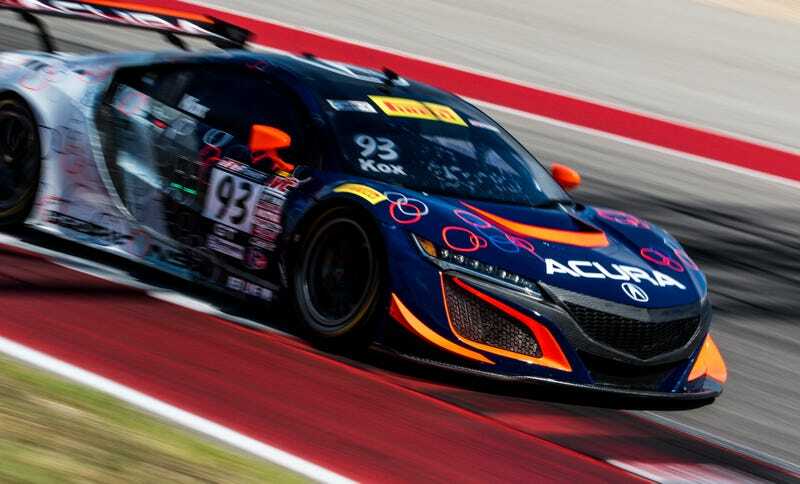 Several Pirelli World Challenge teams were in Austin this week to do just that. Teams including RealTime Racing, GMG Racing, Racers Edge Motorsports, Gainsco Racing and Risi Competizione were braving the heat to get vital seat time in their cars. Most of the teams on hand were there to prepare for the September 1-3 PWC weekend at COTA, although at least one Ferrari Challenge racer was in the mix. Cars ranged from Acura’s ultra-fast, ultra-new GT-class NSX GT3 race car to Racers Edge’s crazy GTS-class Sin R1 to Classic BMW’s small herd of much more down-to-earth BMW M235iR TC-class racers. That’s the fun thing about PWC: there’s a little bit of something for everybody. It’s not all bad inside the car. Many modern race cars have an air conditioner that keeps the cockpit temperature down to a safe level. It’s still hot in there, but not dangerously hot unless you’re just sitting in the car. RealTime actually spent most of the day with their garage doors closed to keep their garage’s air conditioning on, but they were the lucky ones in the garage with air conditioning. For everyone else, sitting without the car on was a very sweaty affair. So, enjoy a behind-the-scenes look at quite possibly the hottest test days we’ve experienced in a long time. The cars and drivers may struggle with the heat, but trust us: it’s for their own good.